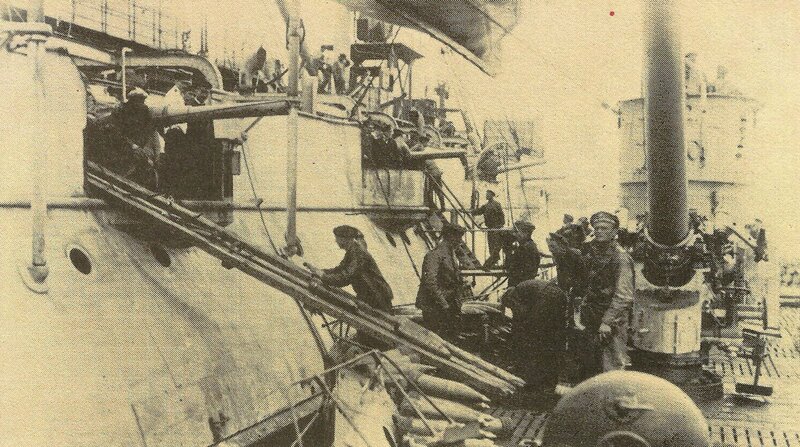 Arming at sea – a U-boat takes ammunition on board. Germany: U-boat leader Bauer orders his commanders ‘… unrestricted U-boat warfare is to force England to make peace and thereby decide the whole war. Energetic action is required and above all rapidity of action … expend only one torpedo on each ship stopped …’. Dover Straits route now compulsory to maximize time on station. Somme: British take position near Le Transloy and capture 350­ strong garrison. Japan: Government asks Britain to approve her assuming German rights in China (done February 16).